Lorelei Fountain. Photo © by Emilio Guerra. Heinrich Heine’s poem ‘Die Lorelei’ immortalized the romantic German legend of Lorelei, a maiden who was transformed into a siren after throwing herself into the river. She could be heard singing from a rock along the river, her alluring voice distracting sailors and causing them to sleep, resulting in their death. 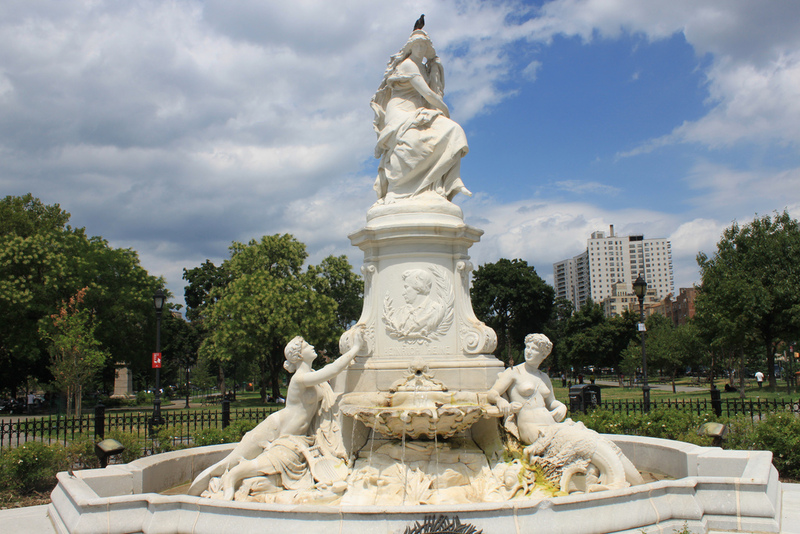 This fountain, carved out of white marble, depicts Lorelei seated on a rock in the Rhine River among mermaids, dolphins, and seashells. 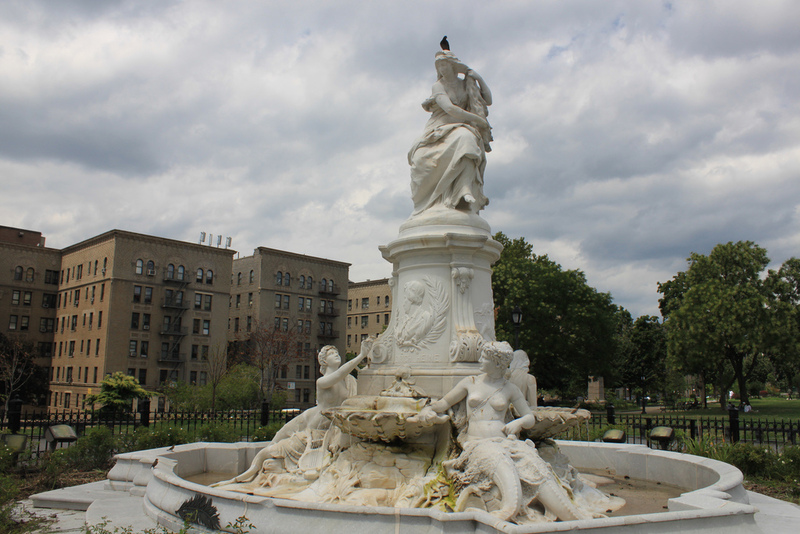 The fountain was commissioned in 1888 for the city of Düsseldorf, but the city declined the fountain and it ended up in the Bronx in 1899. There is of course a statue of Lorelei in Germany as well, created much later however – in 1983. It sits in the Rhine River, and you can see it on the Lorelei statue page.